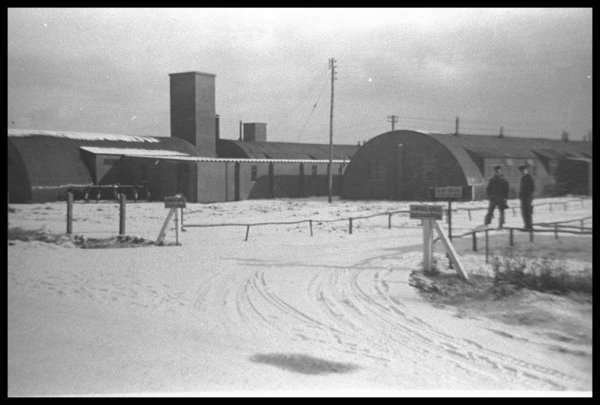 The 392nd BG was activated per military orders issued 26 Jan 1943 by Headquarters, Second Air Force, Fort George Wright, Washington. 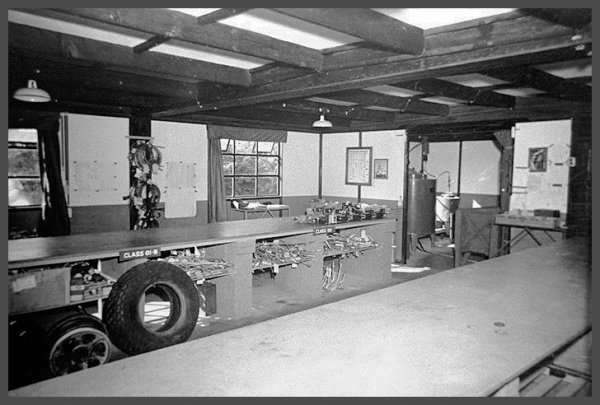 The cadre came mainly from the 34th and 39th Bomb Groups, both B-17 units. The new Commanding Officer was LtCol Irvine A. Rendle, former CO of the 34th BG and a flying officer with over eleven years experience in all types of aircraft. Also from the 34th BG: Ground Executive Officer Maj Joseph Bush, Adjutant Capt John Fritsche, Group Operations Officer Capt Lawrence G. Gilbert, Group Bombardier 1/Lt Joseph B. Whittaker, Group Navigator 1/Lt Kenneth I. Paddock, and Group S-4 (Supply) Officer, Capt Harold G. Finch. Air Executive was Maj Lorin L. Johnson from the Topeka Air Base. From other units came Group Flight Surgeon Maj Robert M. Holland, Group Intelligence Officer Capt Percy B. Caley and Group Photo Interpreter Capt Edwin Reed. The next month, military orders transferred Rendle, Fritsche, Finch, Gilbert, Paddock and Whittaker from Blythe Army Air Base, California, to Davis-Monthan Air Base at Tucson, Arizona, “to meet 392nd Bomb Group.” Initial training began there. Before the 392nd BG departed Alamogordo, New Mexico, they Passed in Review before a General. This artistic photo shows the color guard in the center of Group marchers. Carrying the US flag was 578th crew chief M/Sgt Ernie Barber, flanked by 578th welder Sgt Dock Jirel Jr. and gunner Sgt Edward H. Ivey Jr. In March 1943, key flying personnel and a lead crew from each Squadron were sent to the Army Air Force School of Applied Tactics in Orlando, Florida. There, all were educated on and made acquainted with operational procedure in the various theatres, with emphasis upon the European. 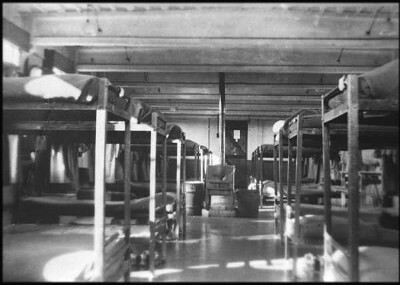 Concurrently, hundreds of officer and enlisted personnel were being relocated to Biggs Army Air Base at El Paso, Texas, to form the Ground Echelon. After three weeks of “organizational throes” at Biggs (as described in the 392nd’s history), the Group was transferred to Alamogordo, New Mexico, for the remainder of the first, second and part of the third phase of training. 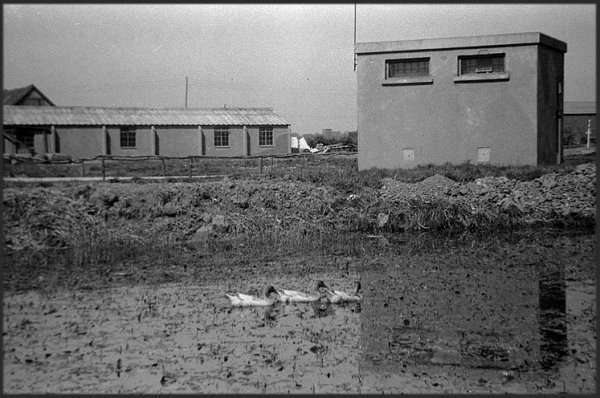 About the middle of July 1943, the Flying Echelon was moved to Topeka, Kansas, to finish the third phase of training and await assignment overseas. They made many training flights in B-24 D and E models but later that month, began receiving new B-24 H model aircraft. 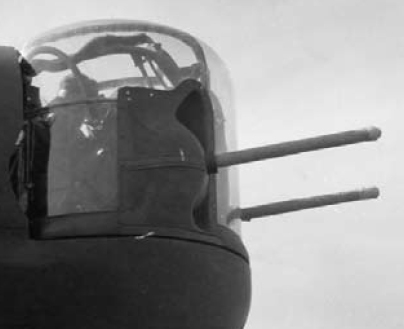 Although the 392nd would be the fourth Liberator unit in England (hence its tail insignia of “D”), it was the first equipped with the H version, whose Emerson nose turret and twin .50 caliber mounted machine guns were a deadly surprise to enemy fighters. Training was a serious business. During the 392nd’s time stateside, 36 airmen and one ground crew passenger were killed in plane crashes. 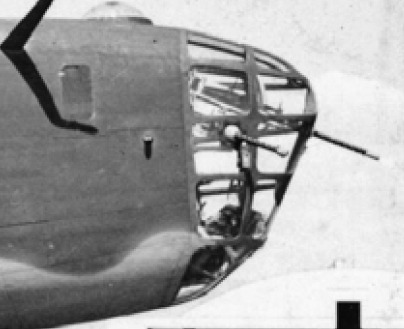 In the US, the 392nd flew model D B-24s. Their distinctive “greenhouse” nose turrets could not move and their machine guns had limited flexibility. The 392nd flew the first H model B-24s to England. Their electronicallypowered Emerson nose turrets could rotate horizontally, giving a wider range of fire, and their two machine guns could move vertically as well. The 392nd Bomb Group ended its stay in New Mexico with a parade. Its time in Alamogordo was immortalized forever when that word was used in England to mean that a mission was cancelled. The RAF turned over Station 118 to the 392nd BG ground support personnel on 14 Sep 1943 while the 10th SCS—were probably working on the runways. On 18 July 1943, the Ground Echelon departed Alamogordo by train for Camp Shanks, New York, and then boarded the Queen Mary on 24 July. After an uneventful voyage, the ship docked at Greenock, Scotland, on 30 July. As the men formed up on the dockside, they were greeted by a Scottish bagpipe band. 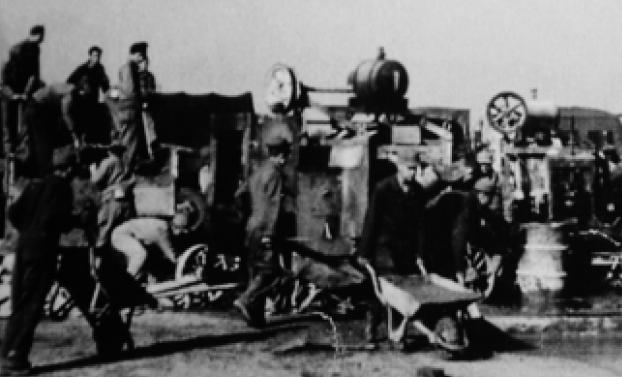 They went by train to the station at Wendling and then by truck to Station 118, where they were welcomed by the advance party. 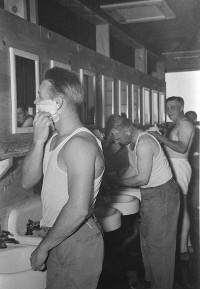 They immediately began to settle in and prepare for the air crews and planes to fly in. 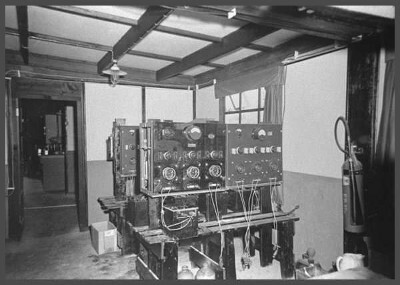 The mission of the 10th was to operate base utilities, telephone/teletype circuits, fl ying control, transportation, communication, Post Exchange, and similar auxiliary services. 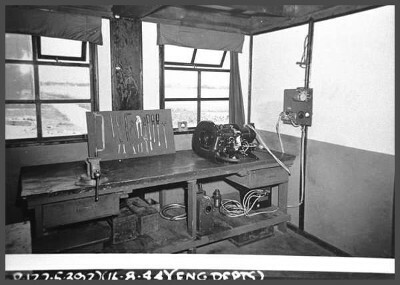 Its workers included the CO’s orderly, electricians, carpenters, cooks, bakers, chaplains, truck drivers, fl ying control and communications personnel, welders, AA defense gunners, and painters—in short, everyone needed to support the day-to-day operations of the Group. Bernie Weisberg fondly remembers his time with the 10th. “The guys were a great bunch to be associated with, particularly S/Sgt Levi Lingle and S/Sgt Paul R. Kozlowski. They were older than I was (but I was only 18½). They were also sheet metal workers; they took me under their wing and always called me the kid and looked over me. “I can remember one day we were on top of a B-24 doing repairs when one of them pulled out a chaw of chewing tobacco and offered me a chew. I declined but they asked, do you like apple juice, to which I replied I do. Well, they said, it tastes just like apples, so I took a bite. It goes without saying I got so dizzy I almost fell off of the wing and they laughed so hard, but they were great guys along with all the others on the base. 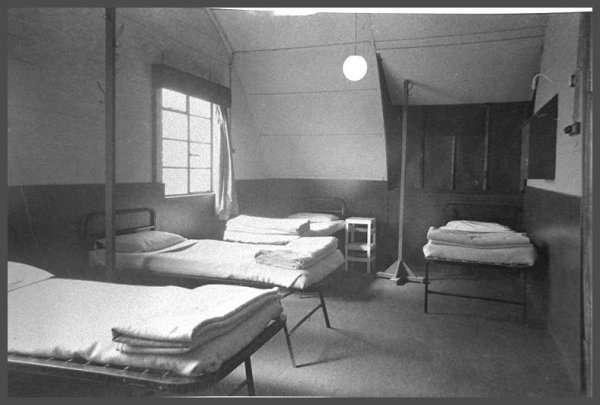 The official history of the 10th includes many stories about its personnel. 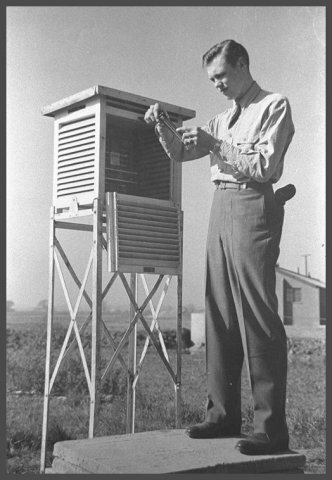 Pfc Thomas J. Bittar was an air fi eld controller out in the Caravan. "On one occasion, he was noted to run into the middle of the runway jumping up and down and waving his arms to prevent a ship from landing as the one ahead of him had crashed. The pilot saw him just in time to prevent landing and tore off for the blue of the sky. It seemed that the pilot refused to notice the red fl ares coming from the Control Caravan and Tom prevented the pilot from landing. It would have been TS if the pilot had landed." 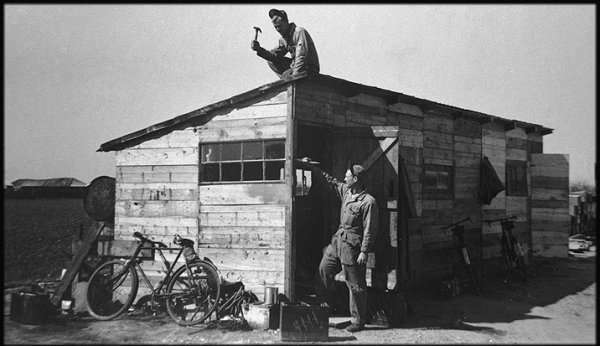 All members of the 10th Station Complement Squadron worked very hard. As proof, in August 1944 1/Lt Calvin Daughdrill was named the 10th's Adjutant, Transportation Offi cer, Mess Officer, Supply Offi cer, Postal Officer and last but not least Squadron Historical Officer. 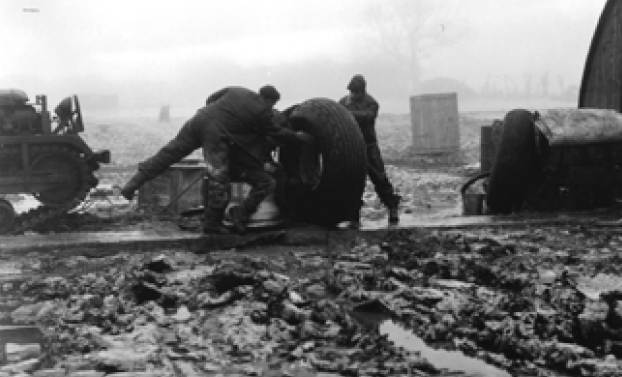 When 392nd BG ground personnel arrived at Wendling, they found mud everywhere. 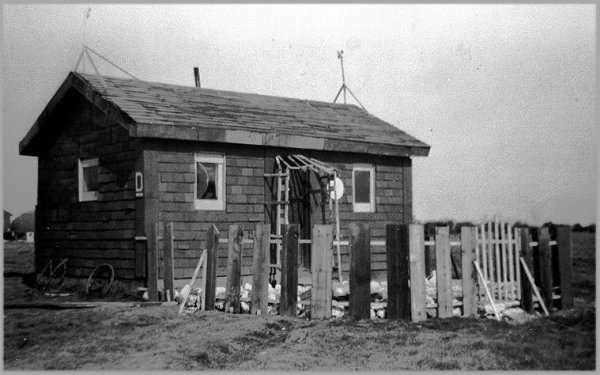 One early task was to pour concrete for additional hardstands and new roads throughout Station 118. Training was intense, including a diversion mission on 6 September. A diversion was an effort to fool the Germans into attacking a decoy formation and thus allow the “real” formation to proceed unmolested to their target. If the enemy attacked the diversion force, the bomber crews got credit for a combat mission. If the diversion failed to rouse the Luftwaffe, they didn’t get credit. The 579th Sqdn was the first to fly east, per orders dated 8 Aug 1943. The nine crews were 1/Lt Charles C. Holloman, 1/Lt Orval S. Morphew, 2/Lt James A. McGregor, 1/Lt Brian T. Smith, 1/Lt Harrison S. Cassell, F/O Edward W. Kubale, 1/Lt Louis A. Sefranek, 1/Lt James A. Feuerstacke, and 2/Lt Wallace W. D’Aoust. Each plane carried a passenger, including Squadron Commander Capt Donald A. Appert, Capt Myron H. Keilman (who became Sqdn CO after Appert was killed on 4 Oct 1943) and other important Squadron personnel. The 578th departed next per orders dated two days later. Crews were 1/Lt Clifford E. Edwards, 1/Lt Thomas R. McKee, 1/Lt Jim B. Kirksmith, 2/Lt Albert L. Lishka Jr., 1/Lt John J. Reade, 1/Lt John G. Buschman, 1/Lt Robert E. Fletcher, 1/Lt Douglas R. Steinmetz and 1/Lt James B. Stauder. Commander Capt Clinton F. Schoolmaster was one of their passengers. The 576th was dispatched on 31 Aug 1943: 1/Lt Alfred Scarlata, 1/Lt James H. Roper, 2/Lt Andrew S. Champion, 2/Lt Henry C. LoPresto, 1/Lt Leonard J. Barnes, 2/Lt Charles L. Lowell, 1/Lt John R. Becker, and 2/Lt Donald K. Clover. An additional plane was ferried to Presque Isle, Maine, the departure point, by Maj Johnson. It may have been intended for 1/Lt Robert D. McCorkle’s crew. They had crashed on 25 August with three men killed so did not fly overseas with their squadron. It is not known when the 577th Sqdn departed the US but its pilots were 1/Lt Melvin H. Graper, 2/Lt Henry P. Bolick Jr., 2/Lt Samuel H. Layton Jr., 1/Lt Frank Marfia, F/O James N. Taylor, F/O Raymond P. Lambert, 1/Lt Frank Gonseth Jr., 2/Lt Leo G. Breckenridge Jr., and 1/Lt Robert D. Copp. All crews started from Presque Isle, Maine. The 576th and 579th aircrews were routed via Goose Bay, Labrador, Greenland, and Iceland. The 577th and 578th crews flew via Newfoundland. 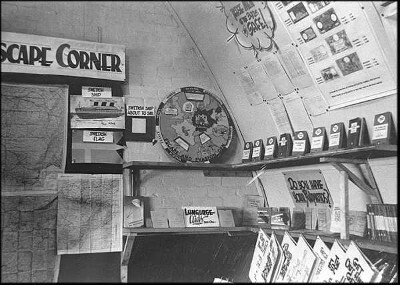 Some crews also stopped at Nutts Corner, Northern Ireland. The 579th Sqdn aircraft and crews arrived at Wendling on 15 Aug; the other squadrons landed soon after. 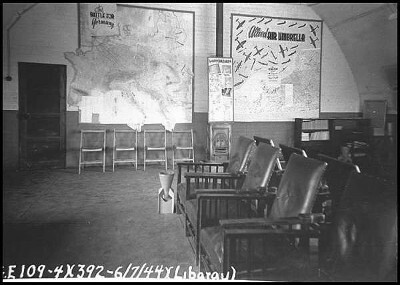 The 392nd’s first designated combat mission was to Abbeville, France, on 9 Sept 1943 with more diversions flown on 23, 26, and 27 September and 14, 18 and 20 October. On 4 Oct 1943, the 392nd was dispatched to fly a diversion toward Denmark. The Luftwaffe rose up in force and shot down three planes. The diversion thus became a combat mission with the 392nd’s first losses due to enemy action. 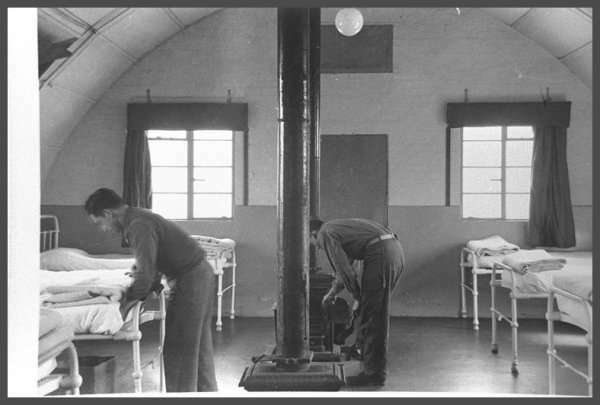 By that time, however, five 392nd BG personnel had already been killed in the line of duty while in England. 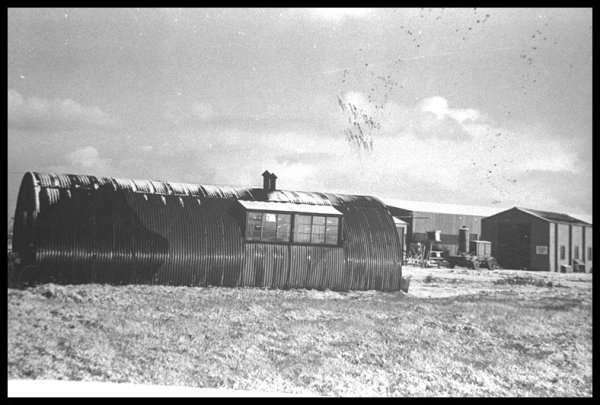 On 30 Aug 1943, two mechanics and two airmen were killed when the plane they were aboard crashed as it was being ferried to Wendling from the supply depot at Burtonwood (in Lancashire during the war but now in Cheshire due to boundary changes). On 22 September, a gas truck driver was killed when he was struck by a plane propeller. By 31 Dec 1943, the 392nd had been on 21 sorties. Twenty planes had been lost and only 18 of the original 35 crews remained. Of 85 pilots and copilots on the muster rolls on 1 July, only 35 remained at the end of the year. Added were 56 crews, bringing the total number of crews to 66 at New Year’s Eve. Licking its wounds with their early losses, they would then be combined with more experienced units, flying multiple missions as far as the Baltic regions before returning to diversionary raids again later that month. Viewed with some misgivings by crews, these ‘H’ model Liberators were soon found to be heavier, slower and less responsive at the higher altitudes these deeper missions were flown at. 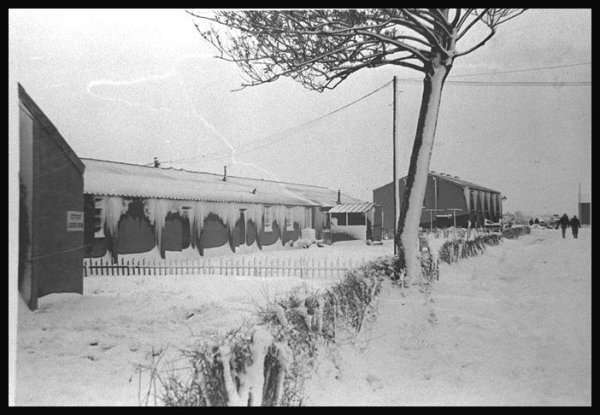 The 392nd would take part in many of the Second World War’s fiercest operations; oil refineries at Gelsenkirchen, Osnabruck’s marshalling yards and factories at both Brunswick and Kassel were just some targets on the long list that entered the 392nd’s operations records book. The massive effort of ‘Big Week’ of February 20 – 25th saw the 392nd in action over Gotha, in an operation that won them a DUC for their part. Upon entering enemy airspace, the formation was relentlessly attacked by Fw-190s, Me 110s and Ju 88s using a mix of gun, rockets, air-to-air bombing and even trailing bombs to disrupt and destroy the groups. Ironically it was the very same twin-engined aircraft and component factory that was the intended target that day; a focus of the Second Bomb Division in an operation that saw the lead section, headed by aircraft of the 2nd Combat Wing, bomb in error due to the bombardier collapsing onto his bomb release as a result of oxygen starvation. Unrelenting the 392nd carried on. They realised and ignored the major error, and flew on to drop 98% of their bombs within 2,000 feet of the intended target. This highly accurate bombing came at a high cost though, Missing Air Crew Reports (MACR) indicate seven aircraft were lost, with another thirteen sustaining battle damage. The 392nd would carry on, with further battles taking their deadly toll on both crews and aircraft. In March that same year, the 392nd would turn their attention to Friedrichshafen – a target that would claim further lives and be the most costly yet. Even before entering into enemy territory, losses would be incurred. Flying in close formation, two B-24s flew too close – one through the prop wash of another – which caused them to collide bringing both aircraft down. One of those B-24s #42-109824 ‘Late Date II‘, lost half of its crew. Despite good weather over the target the attack on Friedrichshafen in southern Germany, would have to be led by pathfinders. In an attempt to foil the attackers, the Germans released enormous quantities of smoke, enveloping the town and concealing it from the prying eyes high above. Of the forty-three bombers to fall that day, half were from the 14th Combat Wing of which fourteen came from the 392nd. Despite losses elsewhere, this would prove to be the worst mission for the 392nd, in all some 150 crew men were lost that day. Bombing targets in Europe was never straight forward and bombs often fell well away from the intended site. On one rather unfortunate occasion at the end of March, the 392nd joined the 44th BG in mistakenly bombing Schaffhausen, a town in neutral Switzerland. The event that not only deeply upset the Swiss, but heavily fed the Nazi’s determined propaganda machine. Eventually March, and its terrible statistics, was behind them. 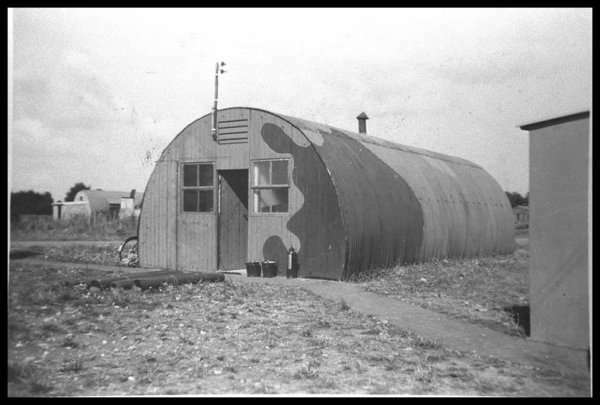 The 392nd would then spend the reminder of 1944 supporting ground troops, bombing coastal defences in the lead up to D-day (their 100th mission), airfields and V-weapons sites in ‘NOBALL‘ operations. Like many of their counterparts they would support the St. 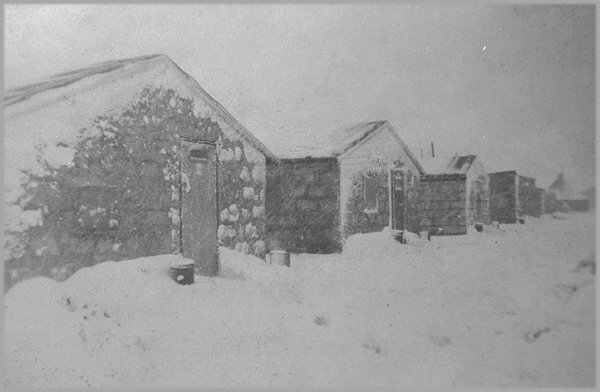 Lo breakout, and hit transport and supply routes during the cold weeks of the Battle of the Bulge. It was during this time, on 12th August 1944 that heroic pilot, 2nd Lt. John D. Ellis, flying B-24H #42-95023, would manage to steer his stricken aircraft away from a residential area at Cheshunt, some 15 miles north of London, crashing the aircraft near to what is now the A10 road. 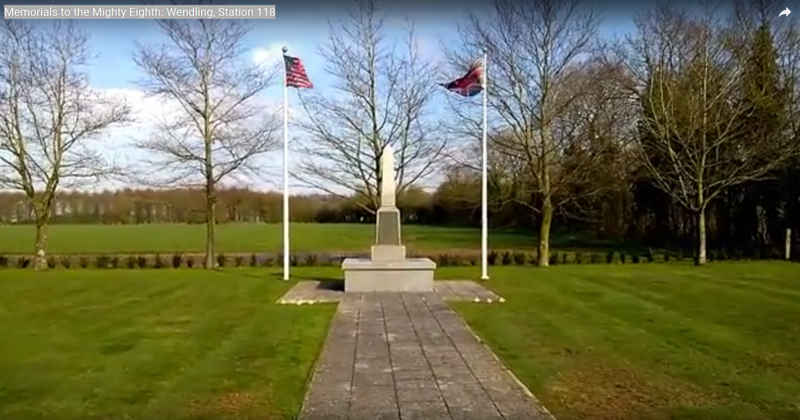 Sadly all on board were killed in the incident but undoubtedly the lives of many civilians were saved, and a memorial in their memory lies in the nearby library at Cheshunt and on the wall at Madingley, the American War Cemetery, Cambridge. 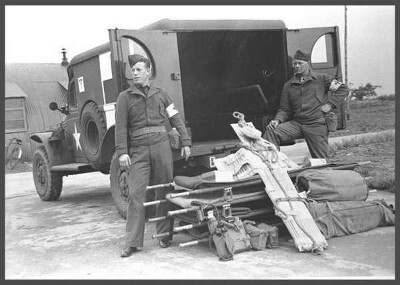 This was not to be the only accident that the 392nd (nor any other B-24 unit) were to suffer. 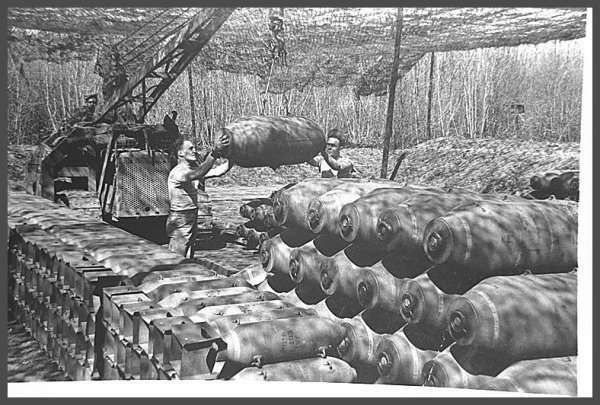 Crews were finding that these heavier machines were difficult to get out of if hit by flak or attacking fighters. Ferocious fires in the wing tanks and fuselage were leading to many losses, and in particular, the pilots who after fighting to keep aircraft stable long enough for crewmen to jump out, were then finding it viciously spinning the moment they let go of the controls. On February 16th 1945 Liberator #42-95031 ‘Mary Louise‘ flown by 1st Lt. Albert J. Novik, was hit by falling bombs from another aircraft flying above him. After wrestling for some four and half hours to keep the aircraft flying, he ordered the crew out and then attempted to leave the aircraft himself. This event occurred only a month after a similar incident where he had managed to dive through the open bomb bay to safety. 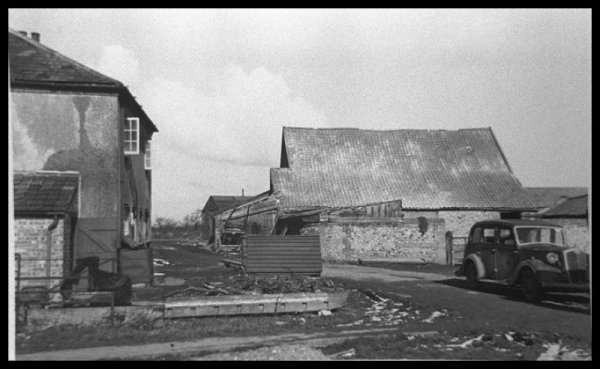 In this instance though, Novik was pinned to the roof as the bomber, half its tail plane missing, spun violently towards the Norfolk landscape beneath. 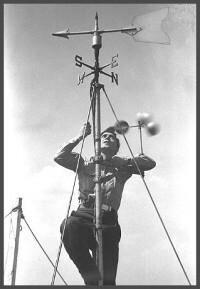 Eventually, after a 7,000 ft fall, he was released from this centrifugal grip by a change in the aircraft’s direction. He managed to crawl down from his position and throw himself out through the bomb bay just seconds before the aircraft exploded, sending burning aircraft parts tumbling all around him. For his actions Novik was awarded the DFC, but many others were not quite so lucky, and perished in these huge lumbering giants of the sky. On April 25th 1945, Mission 285, the 392nd BG prepared for what would be their last mission of the war. The Target, Hallein Austria. Not only would it end the 392nd’s aerial campaign, but that of the Eighth Air Force, bringing the air war in Europe to an end for the American units based in England. By then, the 392nd had conducted some 285 missions with a high rate of loss, some 184 aircraft in total, with over 800 young men killed in action. They had dropped around 17,500 tons of bombs on some of the highest prestige targets in the German heartland. 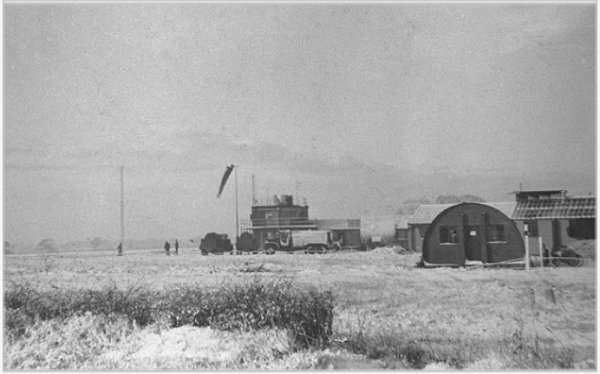 The group was cited by Major General James Hodges for its degree of accuracy for bombs on target – higher than any other unit of the 2nd Air Division over 100 consecutive missions. Operations had ranged from Norway to southern France and as far as the Baltic and advancing Russian armies at Swinemunde. Over 9,000 decorations were handed out to both air and ground crews for bravery and dedication. After flying food supply missions to the starving Dutch, the 392nd departed Wendling and the site closed down, remaining dormant until it’s disposal in 1963/4. 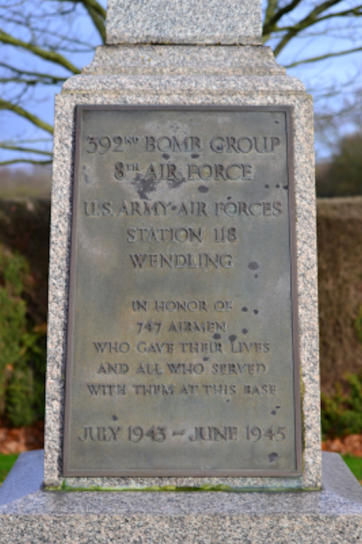 RAF Wendling, otherwise known as Beeston from the nearby village, was classified as Station 118 by the Americans. 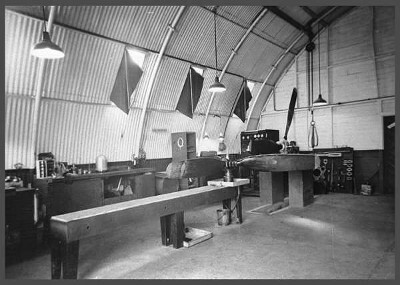 Initially intended as an RAF Bomber base it was updated during the winter of 1942/43 opening in the summer of 1943. It would have 3 concrete runways of class ‘A’ specification, one of 2000 yards and two of 1,400 yards. The bomb dump which survives today as a nature reserve, was to the south-east, whilst the technical area is to the north-west. 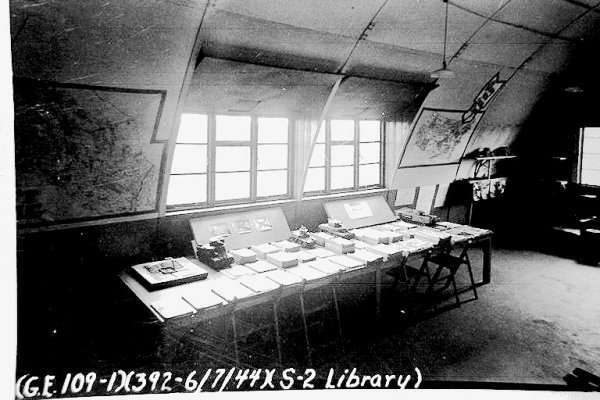 Two T2 hangars were located near to these sites and the watch office (drawing 5852/41) seems to have been modified in 1943 with the addition of what may have been a Uni-Seco control room (1200/43). 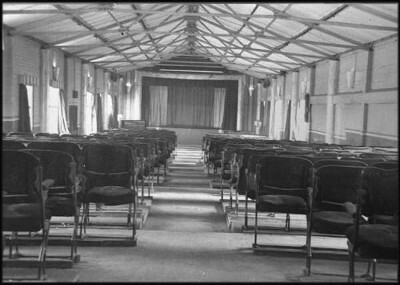 Originally built with an adjoining Nissen hut (operations / briefing room) this is now encompassed within another more modern building, and is not visible from the outside. 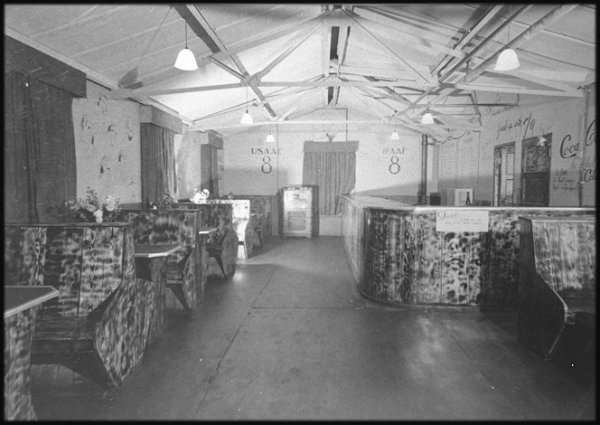 Around the perimeter were a mix of ‘pan’ (28) and ‘spectacle’ (26) style hardstands, all of which have since been removed or built upon. The technical area, housing a range of: stores, workshops, huts and associated buildings, were to the north-west also. Interestingly, Wendling used Orlit huts, built by the Orlit Company of West Drayton, a mix of panel and concrete posts they were more economical than the British Concrete Foundation (BCF) huts initially ordered by the Ministry of Works. Today, parts of two of the main runways still survive, housing turkey farms these buildings synonymous with Norfolk. The third was removed and the perimeter track has been reduced to a path. The bomb dump is part of a local nature reserve which has very limited parking, but access to the remaining buildings there is straight forward. Many of the buildings from the remaining twelve accommodation sites have been removed, however a number are still believed to be standing bound in heavy undergrowth, or used by local businesses. One currently retains a huge mural covering an entire wall, with evidence of others also within the same building. 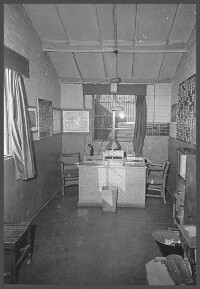 Group Commander LtCol Rendle was, of course, in charge of the entire station. He had two deputies, Ground Executive Officer LtCol Bush and Air Executive Officer Maj Johnson. LtCol Bush was responsible for the administration and all problems of the non-flying personnel. 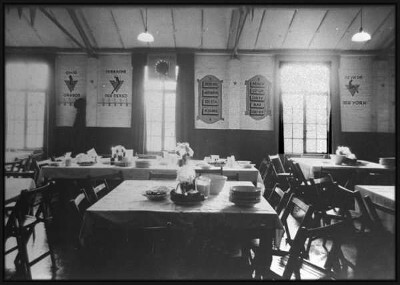 In addition, he oversaw the mess halls for both flying and ground personnel. He therefore was in charge of over 3,000 people, ranging from cooks, bakers, welders, and drivers to line mechanics and instrument repair technicians. Maj Johnson was responsible for the day-to-day management of the combat airmen. As Col Gilbert explained, “When we were fully manned, there were three 10-man crews per plane. These would be distributed among 36 to 40 aircraft. Three crews with 10 men per crew meant that we had 1,200 people combat-ready and available to fly missions. With men in hospital, on leave or in training, we’d reach our full complement. 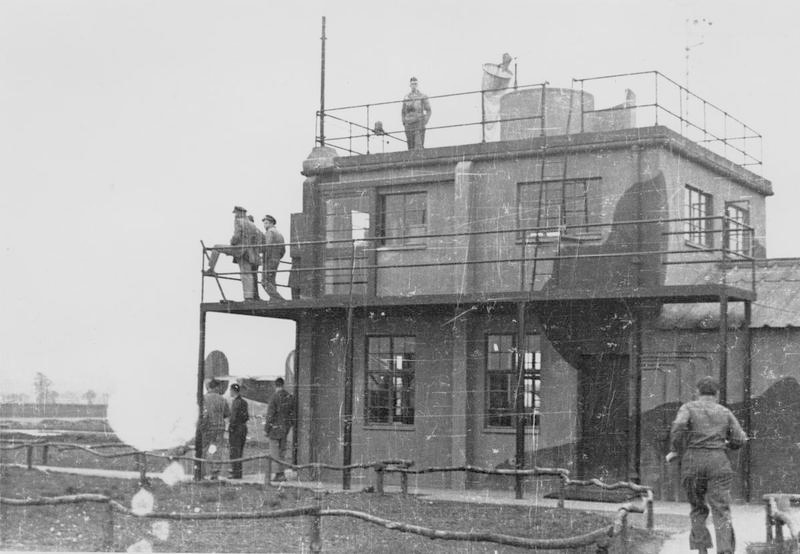 Editor’s note: Manning levels and number of aircraft varied throughout the 392nd’s time in England. The most planes ever dispatched on a single mission was 48, but the 392nd had many days with two or more missions which also severely taxed men and planes. On 20 June 1944, Col Rendle was transferred to take command of a new Bomb Wing, the 95th. Air Executive Col Johnson assumed command and LtCol Gilbert became Air Executive. Col Johnson was transferred in May 1945 and Col Gilbert became the 392nd BG’s last commander. 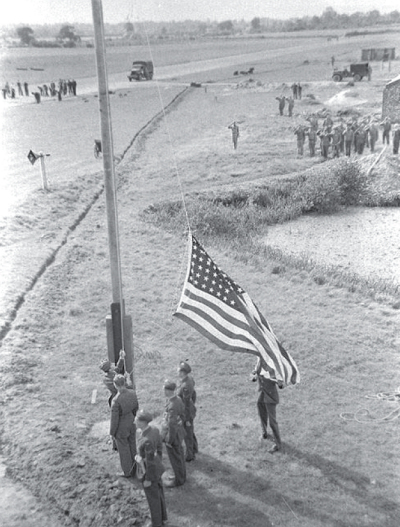 The 392nd returned to the US in June 1945 and was inactivated 13 Sept 1945. It was redesignated “392nd Bombardment Group (Very Heavy)” and activated 30 Jul 1947 but redesignated as “Light” in June 1949. It was inactivated on 10 Nov 1949 but in the 1950s some of the squadrons were activated as missile experimental and training units in Strategic Air Command. 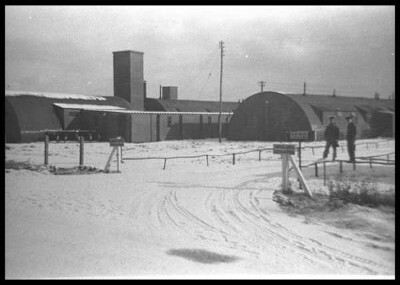 Its successor unit, the 392nd Strategic Missile Wing was inactivated on 20 Dec 1961. The 576th Sqdn lives on as the 576th Flight Test Sqdn, part of Air Force Global Strike Command, Vandenberg AFB, California. On a last note, there is a remarkable memorial in the Village of Beeston to the west of the airfield site. This is in itself worth a visit. Not only does it mention the 392nd, but all the auxiliary units stationed on the base, something we often forget when considering the Second World War. A nice and moving end to the trip. 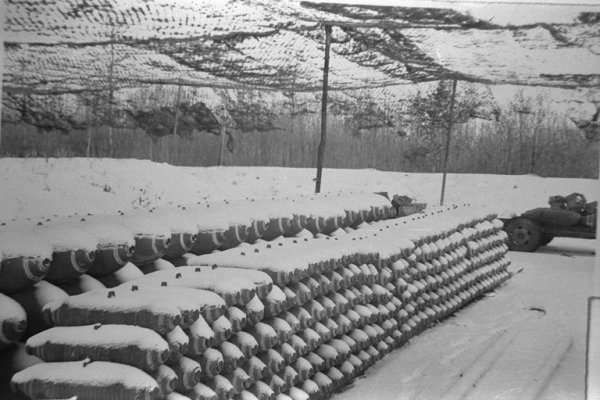 Most of the photographs on the links to the left were compiled from the 392nd Memorial Association archives by Ernie Barber, group archivist and Greg Hatton, POW researcher. They are intended to be viewed for private use and not to be published without written consent from the Association's Group Archivist. You may contact us through our contact us form. Click here for the form. A special thanks to the members who donated, scanned and complied these photographs in remembrance of the sacrifice made by those who flew and supported the B24's during WWII. 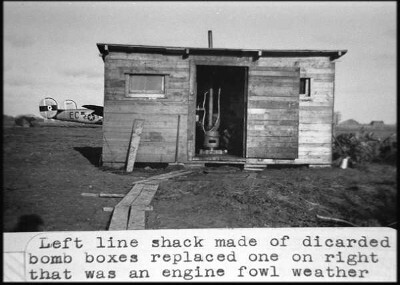 Typical line shack from munition crates. Local farmhouse, supply of eggs & vetetables Thumb Nail View. 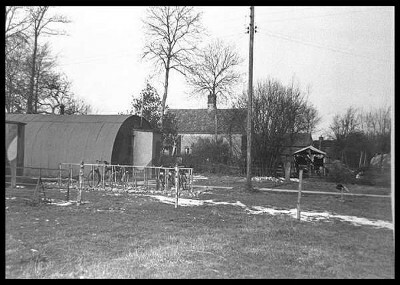 Site 8 sits in the shadow of this farm. Munitions in Honeypot wood, South of field. Checking the weather reading equipment.